In love with the new pose Hazel (great job @reesie) so I took a crack at a mini collection. Basic style and colors, but some chic essentials for a brand new pose. A set of dresses in 18 colors. 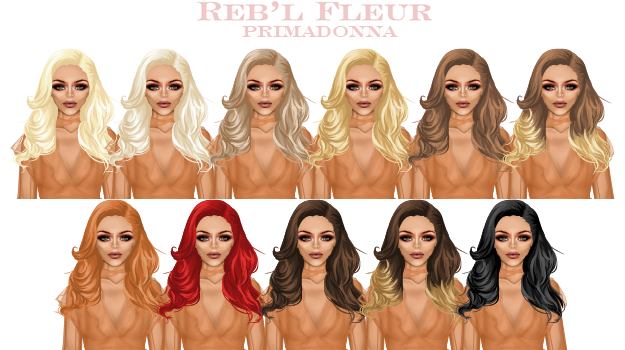 New hair in 11 colors that fits the pose perfectly. Also 2 pairs of leggings, and a shadow if you'd like. me since my new shop opening, and the first batch in 11 shades is now in my shop. It's called Primadonna, and I made it to fit nicely for Chlo and Indi. I have another collection for Chlo since there is practically nothing to wear for such a gorgeous pose. A more neutral and classy set of dresses. Including a tiara & shoes, and I've uploaded a shadow for the pose.